This semi escorted tour is perfect for people wanting to see the highlights of Rome and stay overnight in Sorrento and Capri or Anacapri. We also offer 5-day, 4-night variation of this tour. Please inquire for an itinerary and rates. 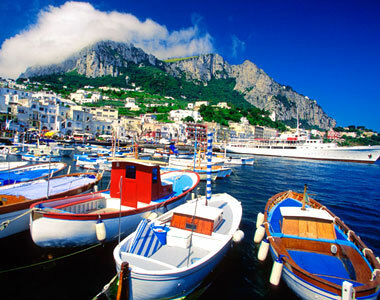 Porterage from Capri Pier to the hotel 3*/4* in Capri (1 bag per person). Private transfer from 3* Hotel in Anacapri to Capri pier (1 bag per person) or porterage (1 bag per person) from 4* Hotel in Marina Grande to Capri Pier.